Too warm for a sweater, yet Baby needs a little something to keep out the chill? Why not a vest? 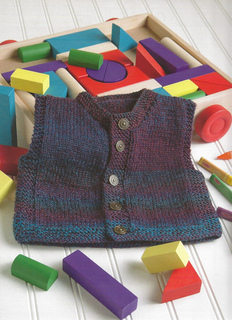 Basic in styling, this vest lets the wonderful yarn do the design work. 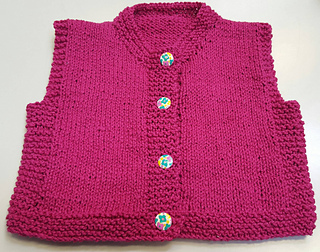 It’s knit in one piece-the only finishing is at the shoulders and sewing on the buttons!